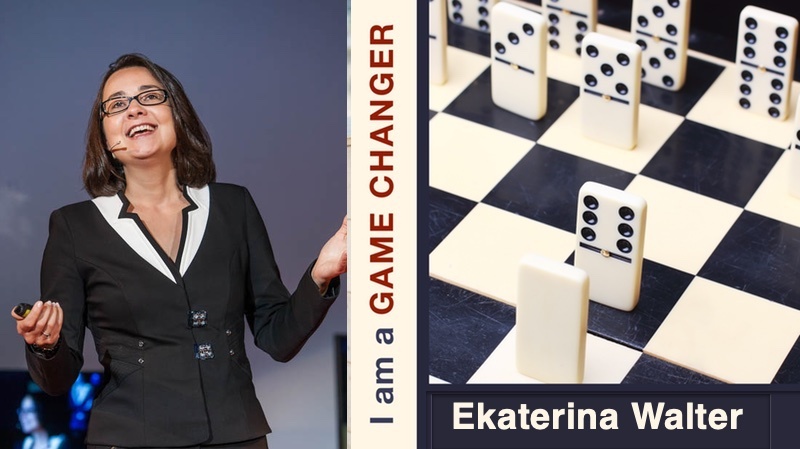 Get to know Ekaterina by listening to her TedX talk. She has an amazing background. This is my third interview with Ekaterina. Each time, I find myself inspired to be the best that I can be. Today I’m sitting down with her book, pen in hand, to take from her new book specific inspiration for my latest tech venture. We have been sharing stories from the beginning of human civilization―for good reason. Stories captivate our attention and build communities by bringing ideas, emotions, and experiences to life in a memorable way. This is proving to be an increasingly potent strategy in the era of the connected digital consumer. With consumers more empowered than ever before, your brand isn’t what you say it is anymore, it is what consumers say it is. As a result, capturing customers’ hearts and minds today requires businesses to prioritize emotional connections with customers, to be in the moment, having authentic conversations, to share relevant, inspiring stories that move and motivate people to take action. Packed with inspiring tips, strategies, and stories from two leading marketing innovators, The Laws of Brand Storytelling shows business leaders and marketing professionals the power storytelling has to positively impact and differentiate your business, attract new customers, and inspire new levels of brand advocacy. The authors lay down the law―literally―for readers through a compelling step-by-step process of defining who you are as a brand, setting a clear strategy, sourcing the best stories for your business, and crafting and delivering compelling narratives for maximum effect. Win your customers’ hearts and minds, and you win their business and their loyalty.